Chris Nelder offers a cautionary tale from Australia, where capacity markets have proved to be more of a cost burden than once thought. Capacity markets are increasingly being considered as a way to head off the utility "death spiral" we have discussed at Greentech Media over the past several months. Paying power generators to maintain a certain amount of dispatchable capacity that can be called upon in the future, regardless of the power price at any given moment, would allow older fossil-fueled plants to remain economically viable even when large amounts of solar and wind power can drive spot market electricity prices well below the level at which those older plants can operate profitably, and thus avoid "stranding" the legacy assets. Equally, capacity payments can allow renewable power facilities to compete with legacy generators by giving the former a way to recoup their high upfront cost of construction. Texas, which has an energy-only market, has been engaged in a bitter fight this year over the prospect of introducing a capacity market. 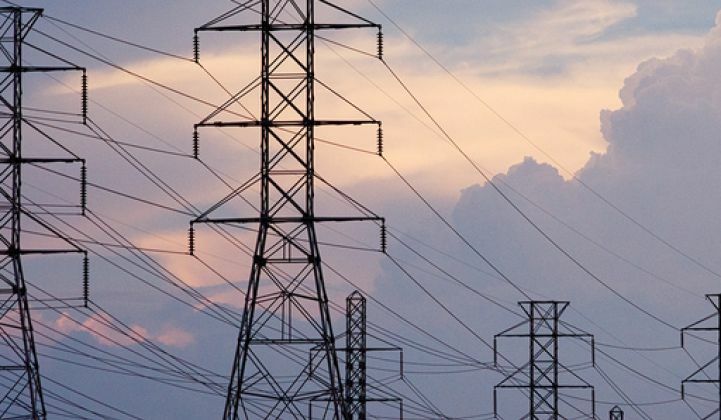 Because it has its own separate grid (the only state in the nation that does), Texas must ensure that it has sufficient capacity to meet future demand. Under current forecasts, the "reserve margin," or power supply buffer, could fall to just 7.1 percent in 2018. Instead of normal average prices in the $28 to $53 per megawatt-hour range, spot prices could zoom to $5,000 or more per megawatt-hour when the reserve margin falls to low levels. Capacity markets, some argue, could allow Texas to comfortably meet its forecast needs at modest cost. Others believe demand response could do the job, without requiring new power generation capacity. Texas, and other parts of the U.S. currently considering capacity markets as a way to meet future demand, would be wise to consider the example of Western Australia. At the Energy in Western Australia conference two weeks ago, where I delivered a keynote speech, I heard two days of intense debate about the perils of its capacity market, and about the future of its grid power. Over 1 million solar systems have been installed in Australia over the past decade, and it is challenging the business models of the fossil-fuel generators there, as it is in the U.S. and the EU. Rooftop solar PV increased by 50 percent in the last twelve months, according to John Bradley, CEO of the Energy Networks Association of Australia, and it is now estimated to be between 10 percent and 12 percent of the Western Australia market. Cuts to the feed-in tariff program that has encouraged the massive uptake of solar, with additional proposed rollbacks and a repeal of climate price legislation, now figure prominently in national politics. The tension is particularly acute in Western Australia, which like Texas has its own isolated grid. Unlike the energy-only National Electricity Market (NEM) that serves much of the rest of the country, Western Australia has followed a unique path, using both an energy and a capacity market. Before getting into the details of why that is, it's helpful to understand a bit of history first. From 1995 through 2006, Western Australia was served by the Western Power Corporation, a vertically integrated monopoly owned and operated by the government of Western Australia. In an effort to open the wholesale power generation market to more competition and meet future demands at lower prices, that entity was "disaggregated" in 2006 into four companies: Western Power, which manages the physical grid in the southwest part of Western Australia (now known as the South West Interconnected System, or SWIS); Horizon Power, which manages the grid and is responsible for electricity generation and billing in the north and regional areas; Synergy, a monopoly retailing and billing company; and Verve Energy, which has a near-monopoly over power generation. All four companies are still owned by the government. The SWIS includes both a short-term energy market (known as the STEM) and a capacity market. It controls 75 percent of the generation capacity (generators over 10 megawatts) in the southwest. A managing agency called the IMO is charged with forecasting how much capacity would be needed to meet peak demand, and allocating the cost of obtaining that capacity to retailers, to fund the capital cost of peaking facilities and partially cover the cost of baseload generating units. Because Western Australia has an independent grid without connection to the NEM, it cannot import power from anywhere else. The government did not want to leave generation capacity to the volatility of the free market, fearing that an energy-only market could leave Western Australia at risk of having insufficient capacity in the hot summer months, and prices could soar to very high levels; in the NEM, the price cap is a whopping $12,500 per megawatt-hour. So the government set a price cap of $150 per megawatt-hour on the Western Power Network, and Western Power proceeded to procure capacity sufficient to meet a "one in ten years" scenario for peak demand. From 2005 to 2010, the IMO forecast increasingly higher levels of peak demand. Unfortunately -- demonstrating the perils of forecasting -- actual demand in the SWIS began to fall in 2006. According to expert Philip Lewis of consultancy VaasaETT, who presented results of his research on over 60 markets around the world, falling power demand has been a developed-world trend since around 2006, notably in Australia, New Zealand, Ireland, Italy and Great Britain. Demand is off as much as 11 percent in some areas, primarily due to policy, new power management tools, and increasing customer awareness, but not due to increasing use of solar. (According to EIA data, U.S. electricity demand is no exception, having peaked in 2007 and fallen since then. Retail electricity sales were off 2.1 percent from 2007 levels in 2012, and total electricity end-use was off 1.7 percent.) Lewis expects power demand to continue falling everywhere. As a result, the Western Australia electricity market, which is now about 4,000 megawatts in total, has at least 600 megawatts of oversupply (although some say the excess is as much as 1,500 megawatts). According to Dr. Mike Nahan, the new Minister for Energy, the excess capacity is expected to be 900 megawatts by 2015/2016, and gas-fired peaker plants (about $100 million worth per year) are still being built under the capacity market with little expectation that they’ll be used. "Something’s wrong with the system," he said. "In our system, the excess capacity is socialized through the system rather than falling on the investors." The capacity market has effectively created an incentive to keep old plants running. At the same time, the competition in the generation market after Western Power's disaggregation was insufficient. Synergy did buy generation capacity from new competitors to Verve, as Verve's generation was offered at uncompetitive high prices. But Verve's dominance in the market also crowded out new investment in the generation market. As a result, Verve became more unprofitable, saddling the government with substantial cost liabilities and risk, and instead of prices falling, they rose. A 2007 government publication [PDF] asserted that "[t]he provision of capacity payments means that wholesale energy prices in Western Australia will not need to rise as high as NEM prices to stimulate investment" -- but that's not how things turned out. Clearly, the cost of meeting too-high future demand forecasts has been a major contributor to the grid power cost increase. And capacity markets have proven to be an expensive way to meet forward demand. The government now intends to merge Synergy and Verve, establish some contract and price benchmarks, then break up the combined entity again to encourage more competition in the generation market. But how that is done is crucial; after the merger, the combined entity will control 80 percent of the market and could easily stifle new entrants into the market. The capacity market is now undergoing a number of revisions which should allow it to reflect supply and demand more accurately. Capacity price will fall more sharply when there is excess capacity and provide incentive for owners of unneeded plants to retire them. But if those revisions don't work, the capacity market may be doomed to the dust bin. Many commentators at the conference expressed the view that ultimately Western Australia needs to move toward an open, energy-only market like the NEM. Meanwhile, the solar revolution rolls on. Bradley said the medium forecast growth for rooftop PV growth would put its capacity over 5,400 megawatts for Australia as a whole by 2020. 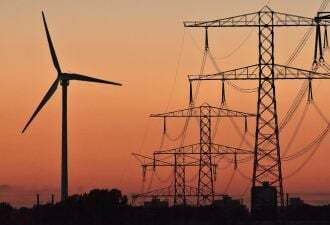 But he also noted that there is a significant level of uncertainty in the forecasts, with a difference of about 22 terawatt-hours between the high and low forecasts by 2020. Obviously, it is going to be enormously challenging to navigate the future of Western Australia's grid, and to accommodate the explosion of solar power while somehow ensuring that everyone, including legacy generators, are made whole. Minister Nahan noted that he is carefully reviewing the "PV revolution going on worldwide," and how to take advantage of it to obtain lower costs and improve delivery of electricity to far-flung customers. "I thought PV cost would remain high for a long time," he said. "I was wrong. […] It’s a game-changer. […] We need to get our heads around all this. […] Elasticity of demand is much higher than we thought it was." However, when the next round of market reforms are done, the challenges facing its utility sector will be very similar to those in the U.S. Pricing frameworks need to be revised in order to find ways to address cost recovery for existing energy services and potentially stranded assets. Appropriate price signals need to be developed to ensure the efficient allocation of future investment dollars. Time-of-use pricing, as well as enabling technologies like smart meters which give consumers helpful feedback on energy pricing and use, will become more popular. Peak pricing, demand-based pricing (reflecting both peak demand and capacity limits), and demand response may be useful tools to avoid overpaying for excess capacity. Perhaps the grass is always greener on the other side of the fence, whether the prescription du jour be deregulation, capacity markets, energy-only markets, or switching to a private or public utility. But take it from Western Australia: the answers to the convulsions in the utility sector are no clearer there than they are in the U.S.